Arax or AraxFoto is a Ukrainian company located in Kiev. Arax is owned by Gevorg Vartanyan (as of 2009), and has hired engineers and technicians from the Arsenal factory. Before 2003, Arax sold its production only in the former Soviet Union. After that date, the Arax began exporting to other countries as well. As of 2009, the Arsenal factory appears to have been dissolved; it is unclear when Arax's stockpile of old stock products will be exhausted. 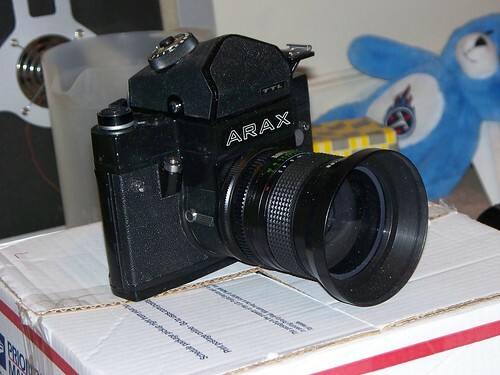 Arax begins with medium format cameras, lenses and accessories produced in the Arsenal factory, then remanufactures and upgrades them to a higher quality-control standard. 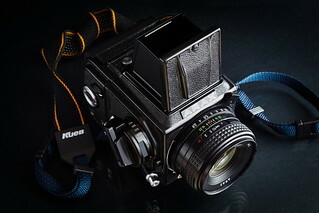 Models include the Kiev 6C, Kiev 60, Kiev 88, Kiev 88CM, Salyut, and Salyut S (Zenith 80). In addition to this upgrading activity, the company also repairs and services Kiev cameras and lenses. Arax also makes SE (Special Edition) camera coverings with genuine leather in a variety of colours and patterns, some of which have the customer name on the side of camera. 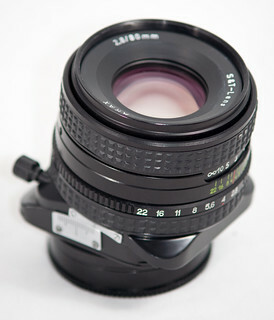 The company also develops and produces tilt and shift adapters, allowing to use any Pentacon Six mount lenses on digital or analog 35mm camera bodies. They give 8 degree tilting or shifting ability and 360 degree rotation. MC Arax 2.8/35mm Tilt & Shift lens. Review by Tuomo Väinämö. Arax MLU/SE Special Edition camera. Review by Jacques Vandeweghe (English, French). Arax-60/MLU - a photoset on Flickr (porkfork6). This page was last edited on 4 April 2017, at 05:20.